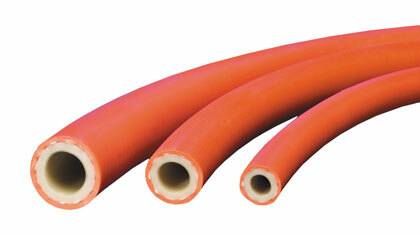 NYLAFLOW® is a highly durable and lightweight all-purpose solvent transfer hose. Ideal for transfer of paint fluids, chemical solvents, asphalt sealer solvents, acrylics, enamels, lacquers, thinners, turpentine, oils and many other finishes. Hose is available in 1/4", 3/8" and 1/2" ID sizes. Click here for more info.